at the top of the tank, the invention comprises an outlet duct via which the gases produced by liquefaction are guided into a compressor, which has the function of compressing the gases and injecting same into a first gas-storage tank. 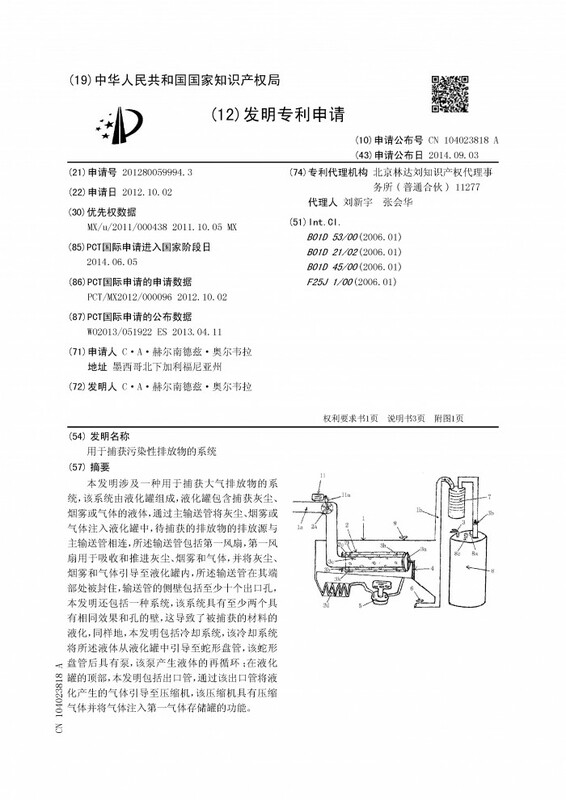 I'm seeking for someone to buy or rent license of my patent, or in the case an investor, to develop the project of capture of polluting emissions. 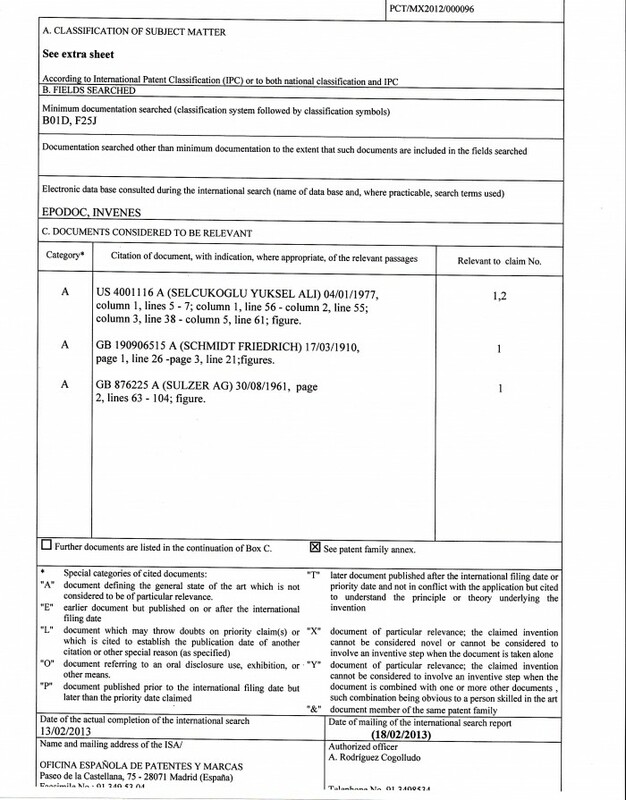 I already own the title for the same patent in Mexico trough PCT, I did the registration form for USA...CHINA and Canada. 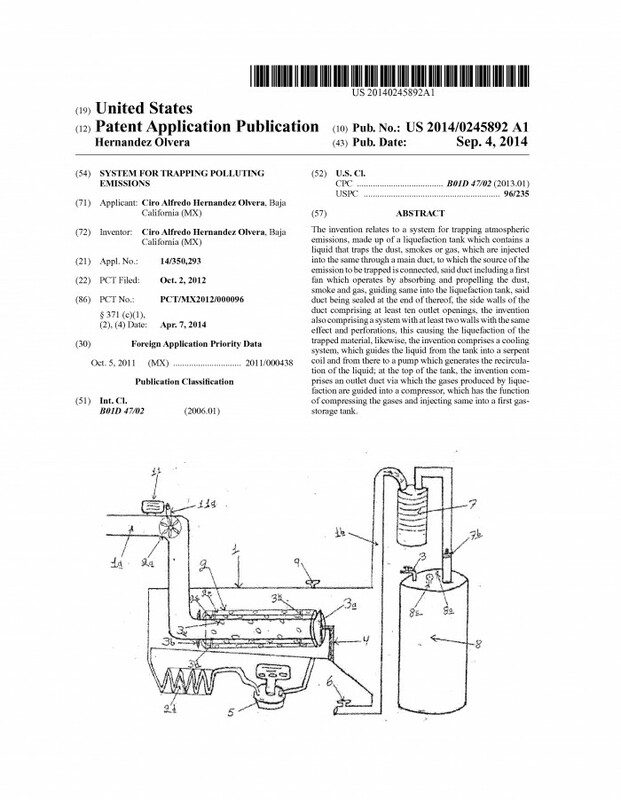 In such way I want to negociate with this patented project on any of these countries, for information or contact: [Use the button below to contact me] This project consists of a Licuation Dispositive To Capture Contaminating Emissions of home fireplace / chimney or Industry depending the case. 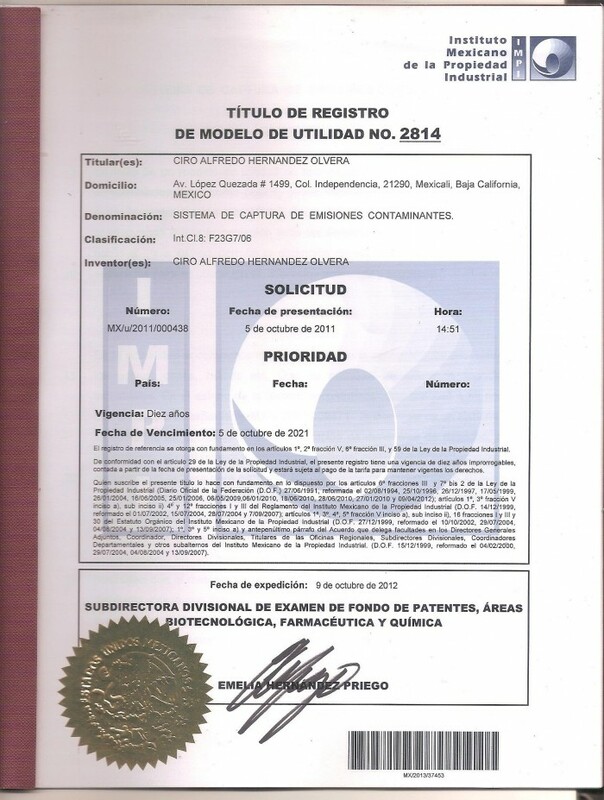 Estoy buscando quien compre o rente la Licencia de la Patente, o en su caso un Inversionista, para desarrollar el proyecto de Captura de Emisiones Contaminantes, Ya cuento con el Titulo de la Misma en México y por medio del PCT, realice la Solicitud de Registro en E.U ,,, CHINA Y Canadá. 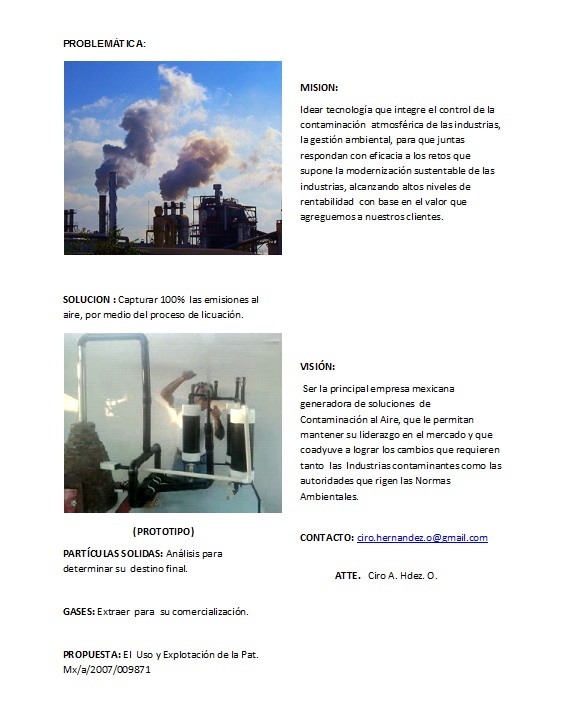 De tal manera que Quiero Negociar con este Proyecto ya Patentado en cualesquiera de estos Países, Para Informes y Contacto: [Use the button below to contact me] Este proyecto consiste en Un Dispositivo de Licuación para Capturar la Emisiones Contaminantes de una Chimenea de Casa o Industria Según sea el Caso. 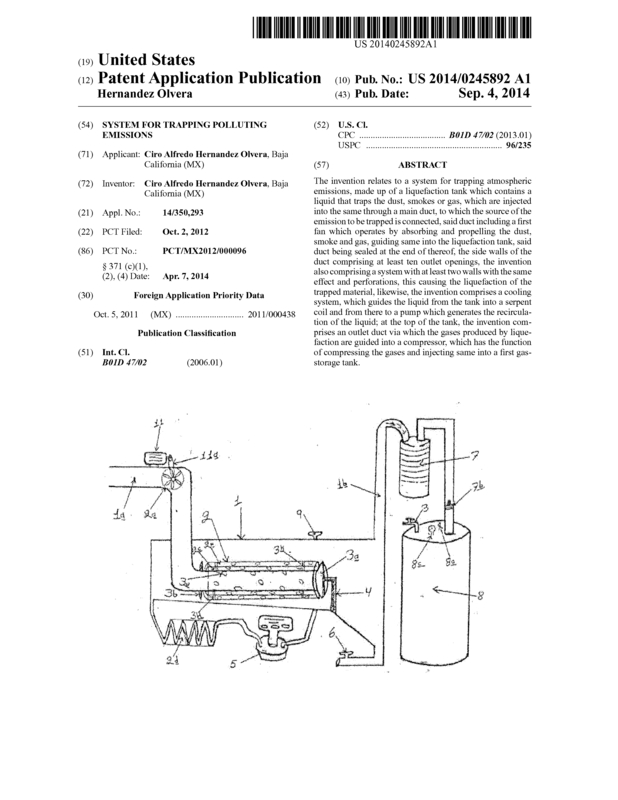 Page created at 2019-04-25 4:04:18, Patent Auction Time.